Today, in the presence of His Highness Sheikh Ahmed bin Saeed Al Maktoum, Panalpina CEO Stefan Karlen officially opened the company’s new logistics manufacturing center in Dubai South. The 40,000 m2 facility, adjacent to Al Maktoum International Airport, supports circular supply chains and will enable Panalpina to grow its logistics and freight forwarding business in the Middle East, Africa and CIS (MEAC) region. Three times bigger than the previous facility and with state-of-the-art infrastructure, it offers plenty of room to further grow with both existing and new customers. The sheer size and flexible space within the building gives Panalpina plenty of room to scale its business. Currently, Panalpina mainly serves customers from the technology, oil and gas as well as consumer and retail sectors in Dubai. 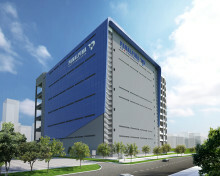 Important telecom and consumer electronics customers were smoothly moved right across the street from the previous 13,000 m2 building to the new 40,800 m2 facility when it was completed in October of 2016. The site is located in Dubai Logistics City and forms part of the bonded logistics corridor that links the adjacent Al Maktoum International Airport and nearby Jebel Ali Port. 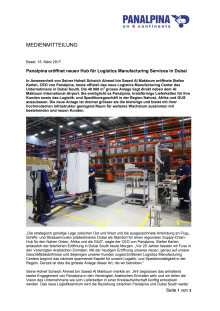 Most of the operational space of 37,800 m2 is used for inbound to manufacturing (I2M) and vendor managed inventory (VMI) services in support of Logistics Manufacturing Services (LMS) and also for outbound distribution services. There are separate areas for the break-down or build-up of air freight, for the safe intermediary storage of valuable goods, and for other special activities. Goods are kept and handled in clean and fully air-conditioned chambers where the room climate is monitored and controlled around the clock. “Customers are increasingly demanding that their products be protected against heat and humidity. Our new facility is one of only few of this size in Dubai that can offer this,” explained Pascal Sieber, Panalpina managing director for the United Arab Emirates. In a separate repair room, equipped with antistatic flooring and special lighting, specialists grade used mobile phones, tablets and laptops before they are reintroduced into the supply chain, recycled or discarded. Specialists also refurbish game consoles, which involves diagnostics, repair and testing. In the LMS area, also equipped with special lighting and electrical supply points, Panalpina engineers and technicians pick semi-knocked down units, configure, assemble and test them with the latest software uploaded. More and more companies want to configure and customize their products closer to market and then deliver them to the end customer as quickly and efficiently as possible. 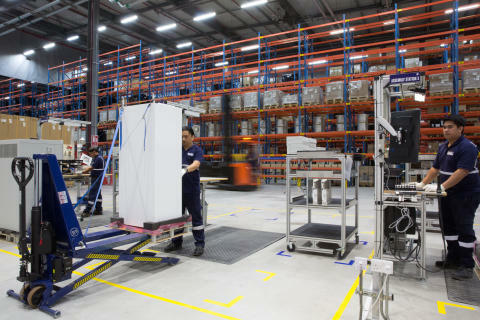 As part of a circular economy, Panalpina is also seeing increased demand for reverse logistics including diagnostics and ultimately repairs for their customers’ products. 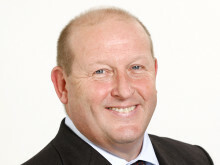 “Our hub here in Dubai is designed to take advantage of the changing dynamics of supply chains. 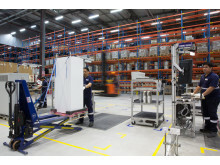 With the trend of distributed manufacturing close to point of consumption, the emphasis on sustainability, the Internet of Things and the makerspace movement, as well as technological advances such as additive manufacturing, we will see more logistics facilities like this one in the future, where we can add value to our customers’ supply chains,” said Mike Wilson, global head of Logistics and Manufacturing at Panalpina. His Highness Sheikh Ahmed bin Saeed Al Maktoum, is Chairman and Chief Executive of the Emirates Airline & Group, and Chairman of the Dubai Aviation City Corporation. Also attending the opening ceremony was His Excellency Khalifa Al Zaffin, Executive Chairman of the Dubai Aviation City Corporation and Dubai South.